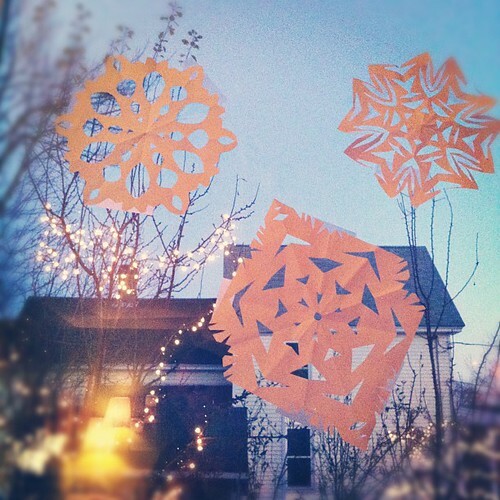 We have many windows and so many snowflakes to cut, so we begin. 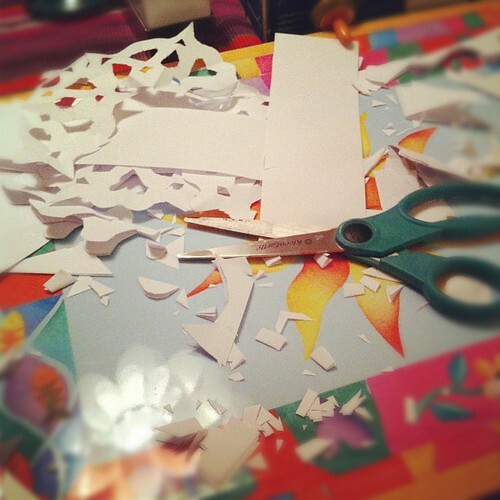 Cutting paper into wishes for snow, taping these love notes onto our windows, keeps our hands and minds busy, while we wait for information and news about Alex's mother-she is still in the hospital. We visited her yesterday and took his dad, Papa, a turkey pot-pie for his fridge. Thankfully, we are all in the same state, but we can't help thinking about how some things could be made easier? better?, if we could combine households just now. We've been told that Nana may be beginning chemo as early as this week, as an in-patient. We told her we were worried about her and she said, "I'm worried about me, too." These love notes, these winter wishes, they are for you, too, Nana.